Elvis Performing. Elvis Presley one of his earlier performances. 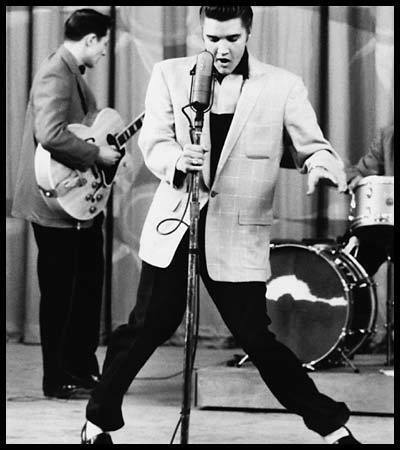 Wallpaper and background images in the Elvis Presley club tagged: elvis performing music rock and roll image photo. This is such a truly classic image! Eating a cacahuète, arachide beurre and banane sandwich, "sandwich"